Are you watching Elizabeth’s convention speech? Around 10pm on September 5th, millions of people will see and hear Elizabeth speak for the very first time when she addresses the Democratic National Convention. This is a huge moment for Elizabeth and our campaign — a chance to introduce her to people across Massachusetts and inspire supporters to get more involved. We’re organizing house parties all across Massachusetts to bring together friends, family, and neighbors to watch Elizabeth’s speech to the convention. Can you organize a convention watch party on September 5th? Sign up now. What your party looks like is all up to you. You can invite 3 friends or invite 30. Host a potluck, order a couple of pizzas, have an end-of-summer BBQ — whatever you’d like. Just do us a favor: Don’t invite only your friends who already support Elizabeth. Invite people who have never heard of her — or aren’t sure how they’re going to vote yet — and encourage them to learn more about Elizabeth and our campaign. You can be an even bigger help by opening up your party to others. We have supporters across Massachusetts looking for a place to watch the speech. Your party could plug them in — and connect you to other supporters in your neighborhood. 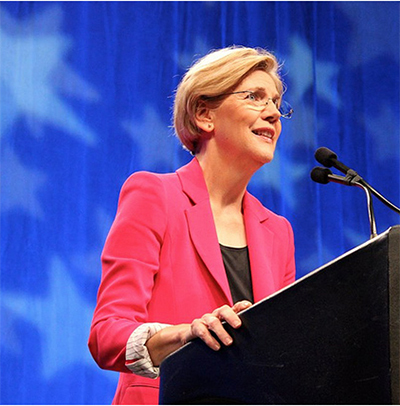 Please sign up to host an Elizabeth Warren convention watch party. Let’s cheer on Elizabeth together!